http://www.neumaticos-online.es/ – prices quoted include sales tax, packaging and transportation within the Spanish mainland. If you put in your postcode (or town) and the radius within which you’re prepared to travel to get the tyres fitted, the website will come up with a list of garages that will fit them. 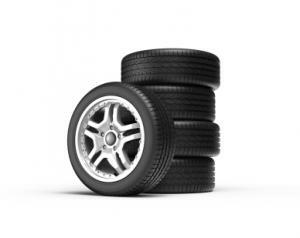 http://www.neumaticos-pneus-online.es/ – this is quite similar to the previous site in the way that it works, with delivery in 3 to 5 days and you can also find a garage that will fit your tyres by putting in your postcode. They have a promotion on whereby if you give a friend’s e-mail address, that friend will get a 3€ discount and when they make their first order you’ll get a 5€ discount voucher. However, as normally you’re not changing tyres on a regular basis we don’t think the offer is worthwhile. http://www.i-neumaticos.es/ – again you can check out the prices online and then when you put in your postcode you can see if they offer the mobile service in your area, if not you’ll be shown a list of garages. The mobile service seems to cover an extensive part of Spain and you’ll have to phone to arrange a day and time. The website also includes videos of TV articles showing how their mobile fitting system works. When you choose your tyres, the prices already include sales tax, and when you get to paying you can see the price of fitting (including wheel balancing) and the state tax for recycling – no other charges are applied, so when the mobile team turns up you’ll not be in for any nasty surprises (unless you choose the wrong tyres!). These online sites have set up a network of independent garages, as not every garage that fits tyres will do it if you’ve bought them online. You can also check tyre prices and fitting at the nationwide chains such as Aurgi, Norauto, Midas or even some major supermarkets. When writing this article, only Aurgi had tyre prices online, for the other places you’d have to phone and check. All have occasional promotions such as 4×3 or offers on specific brands.